I’ll be the first to admit, I’m not model material – I’ve always preferred to be behind the lens rather than in front of it. However, my sisters were never camera shy like me and totally know how to work it! So when XSRE announced their casting call events, we knew it was time for one of them to get discovered. Also, heading up to the Palisades Mall – where the event was held – was a great excuse for me to shop and scope out one of the hottest accessories stores around. Up until the casting call I had never been to an XSRE (pronounced accessory – pretty clever, huh?) store before so my first impression was pretty much “Whoa!” The size and amount of accessories, clothes, shoes, and other pretty things was overwhelming – but in a good way. It really was like being a kid in a candy shop. Despite having loads of things to offer XSRE is surprisingly easy to navigate, and is well organized. A lovely sales associate informed me that store was split into styles – like a romantic section, a roll and roll section, a glamour section, and more. Within that frame, sections are split into color or similar themes. For me, XSRE was like shopping through a magazine or even better – a pinterest board. One wall had everything blue – blue flats with black toes, a blue purse with a gold bow, a color blocked blue and black dress, earrings with blue triangle motifs, blue bracelets, blue and gold rings, necklaces with blue diamonds. 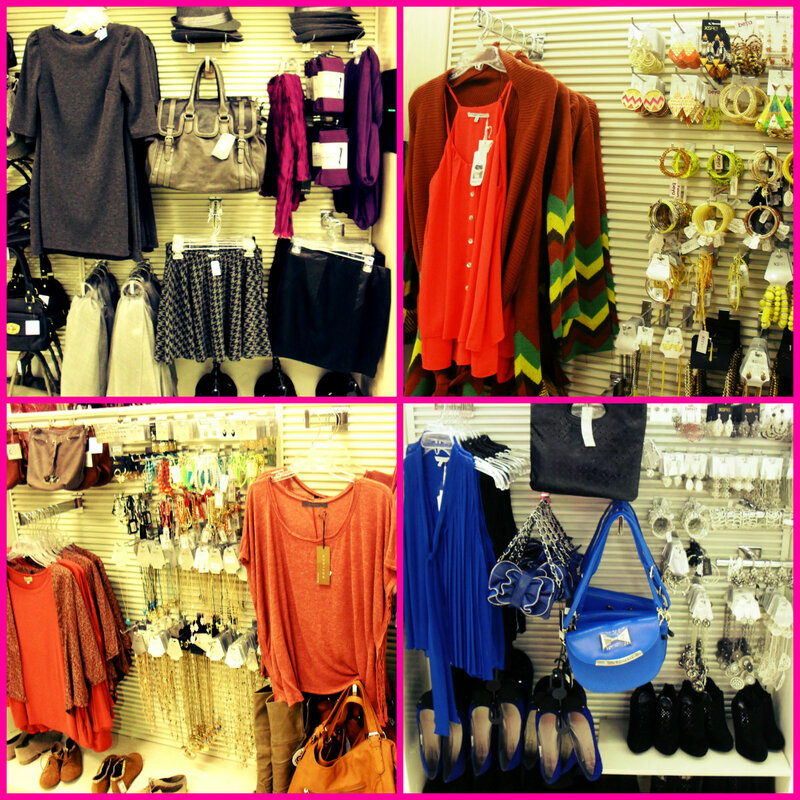 There are so many fashionable options! 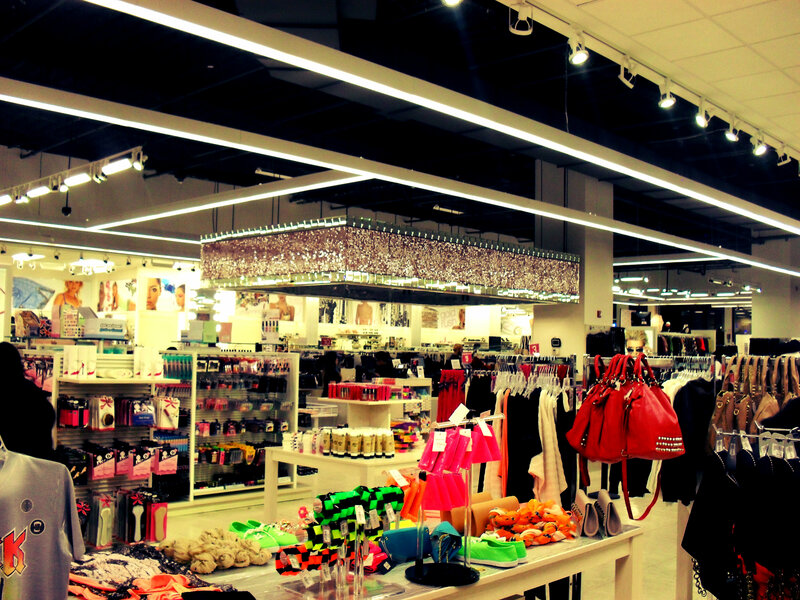 My sisters and I spent hours shopping- the store is so large that you can really spend that much time in there and have not properly gone over everything. The Casting Call was drawing quite a crowd, XSRE was looking for the face of their store and would award one lucky girl with a 6 month modeling contract and more (for more info check my former post here)! I watched as one of the stylists added gold XSRE accessories onto my sister’s wrists and white jeans, layered on a chunky knit scarf, and handed her a clutch that resembled a Coca-Cola can. They were so nice, and completely put all the would-be models at ease. They had a professional photographer there to take the shots – and I loved watching my sister model! She did a great job – even the photographer thought so (he told me)! 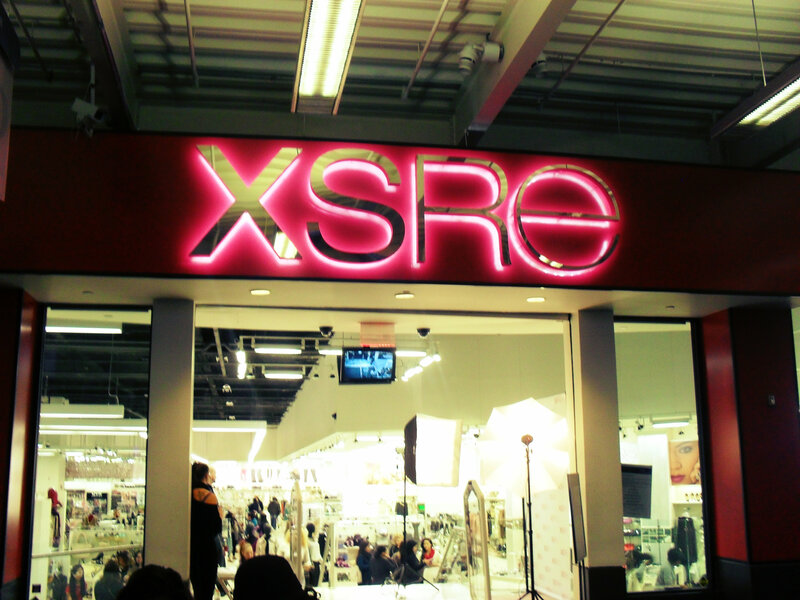 The casting call was so much fun, and I loved shopping at XSRE. They really have so much to offer, more than just accessories but gorgeous clothes, makeup, handbags, shoes, a few household products, and loads of great gift items. I will definitely be returning! Want to see what I bought?! Hang around for my next post which will be my XSRE haul and a giveaway! *This post was compensated by The Blogger Connection. All opinions presented on here belong to The NYC Talon and are not influenced in any way (for more info please refer to my PR page at the top). Previous Post Casting Call: Are you the next XSRE girl?! Find out this Saturday at the Paramus Towne Square XSRE Store!